While Godzilla fans still have to wait until next March for Godzilla: King of Monsters, a follow-up to Warner Bros. and Legendary's 2014 hit Godzilla, the company that created the iconic creature is starting their own shared universe. Keiji Ota, who is the "Chief Godzilla Officer" for the iconic Japanese company Toho, revealed that they plan on releasing a new Godzilla movie at least every two years, after the year 2021. Here's what he had to say, comparing this initiative to the Marvel Cinematic Universe. "After 2021, we're thinking of a potential strategy that (releases) Godzilla movies uninterrupted at a rate of every 2 years, although there is a preference for a yearly pace as well. The future of the series and its forwarding developments are very conscious of the method of 'shared universe'. Godzilla, Mothra, King Ghidorah, etc. could all share a single world view much like a Marvel movie where Iron Man and the Hulk can crossover with each other. It is said that each movie can be a possible film production where any one of them could lead a film of their own as the titular character." Toho created and released the original Godzilla movie in 1954, which spawned 29 more Godzilla movies from the company, plus countless others from different studios. Toho licensed Godzilla to Warner Bros. for their Godzilla movies, but in 2016, the studio released Shin Godzilla, their first Godzilla movie since 2004's Godzilla: Final Wars. While the movie was quite a big hit in Japan, it seems that Toho won't be making a Shin Godzilla sequel as part of this shared universe. Here's what Ota had to say about making a "World of Godzilla" over a Shin Godzilla sequel. "Shin Godzilla was a huge hit, but instead of thinking of doing the obvious idea of making a Shin Godzilla 2, instead think about a world that can be used for a long time. I'd rather make a World of Godzilla." 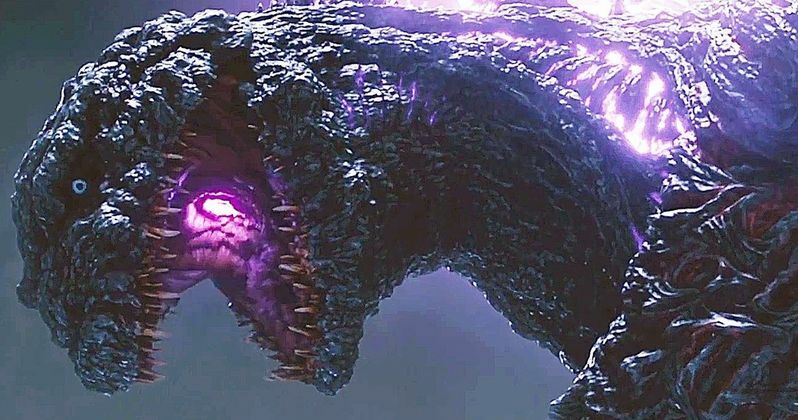 While Shin Godzilla didn't make a huge mark in the United States, earning just $1.9 million, it was in fact a big hit in Japan, where it earned $75.3 million, the second highest-grossing movie of the year in Japan, far behind the anime hit Your Name ($235.3 million). While $75.3 million doesn't sound like much, compared to American box office standards, it managed to out-gross Hollywood hits like Zootopia ($70.1 million), Finding Dory ($65.9 million) and Fantastic Beasts and Where to Find Them ($63.7 million). Still, it doesn't seem that a Shin Godzilla sequel is in the cards, especially with other Godzilla crossovers still being talked about like 2020's Godzilla Vs Kong. Ota didn't reveal any specifics about this Godzilla film universe, or if they plan on assembling a writers room like many American franchises are doing these days. Given how Shin Godzilla didn't exactly fare well in the U.S., it's possible this shared universe will be predominantly released in Japan, although no concrete plans have been made yet. You can head over to Nikkei Style for their interview with Keiji Ota.